To add a new division, follow the steps given below. 1. Navigate to the Settings - > Divisions option in the Navigation Menu. The Divisions page will be displayed. 2. 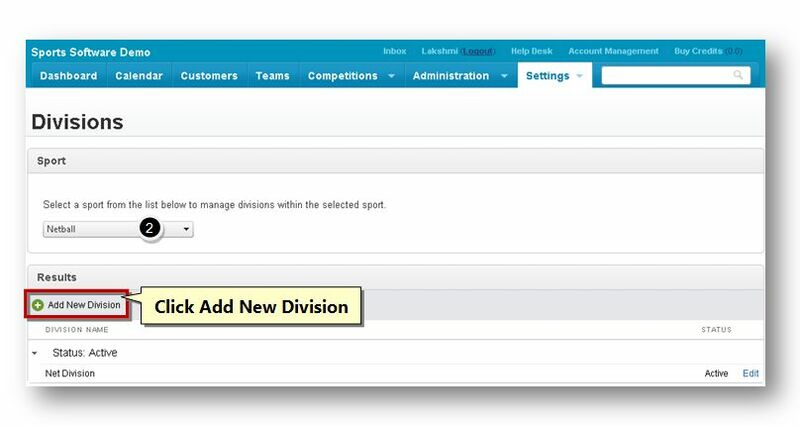 In the Sport section, select the name of the sport to manage divisions related to the sport. The Results section will be displayed. 3. Click the Add New Division button. The Add New Division dialog will be displayed. 4. 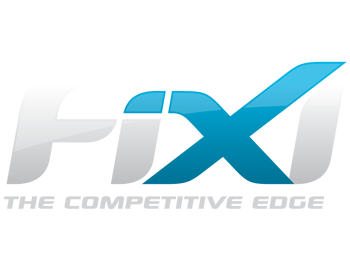 The Sport name will be automatically populated. 5. Enter the name of the division in the Division Name text entry box. 6. Enter the game duration in the Game Duration text entry box. 7. This is applicable to Advanced Future only. Enter the amount of matches (as a percentage) to be played on an alternate day in the Alternate Day % text entry box. 8. Enter the round fee in the Round Fee text entry box. 9. Enter the season fee in the Season Fee text entry box. 10. Enter the team registration fee in the Team Registration Fee text entry box. 11. Select the type of the score sheet from the Scoresheet text entry box. 12. 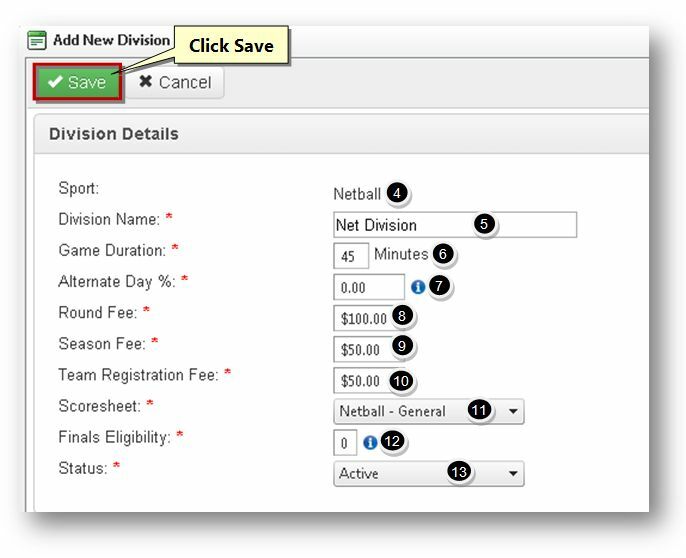 Enter the number of matches to be played by each player in the regular season in order to be eligible for finals in the Finals Eligibility text entry box. 13. Select the status of the sport from the Status drop down list. The available options are Active and Inactive. 14. Enter the number of points for winning in the Points for Win text entry box. 15. Enter the number of points for losing in the Points for Loss text entry box. 16. Enter the number of points for draw in the Points for Draw text entry box. 17. Enter the points for awarding bye in the Points for Bye text entry box. 18. Enter the number of points does the walk over team should receive in the Forfeit-For Points text entry box. 19. Enter the number of points does the forfeiting team should receive in the Forfeit-Against Points text entry box. This will usually be the same as Points for Loss. 20. The forfeiting team will receive a default score of 0. Enter the forfeit default score for the other team in the Forfeit Default Score text entry box. This will typically be the average winning margin for the whole competition. 21. Specify whether the bye is to be considered as played match or not by checking or un-checking the Bye is a Played Match text entry box. 22. Specify whether the forfeit is to be counted as a played match or not by checking or un-checking the Forfeit is a Played Match text entry box. 23. Specify whether to count the forfeit matches as win or loss by checking or un-checking the Forfeit is a Result text entry box. 24. Specify whether to prioritise teams by for score instead of percentage when the goal difference is the same or not by checking or un-checking the Prioritise Ladder by For Score text entry box. 25. Enter the number of points required to gain bonus score in the Bonus Points Score text entry box. 26. Enter the number of bonus points earned in the Bonus Points Earned text entry box. 27. Specify whether the perpetual bonus points are allowed or not by checking or un-checking the Perpetual Bonus Points text entry box. 28. 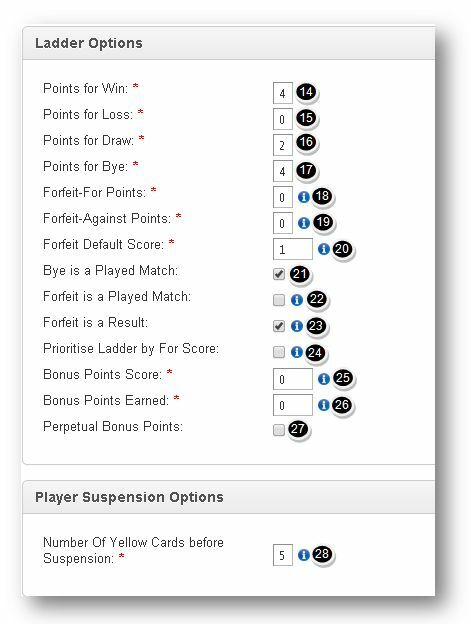 In the Player Suspension Options section, enter the number of yellow cards to be issued to the player before suspending him from the game in the Number of Yellow Cards before Suspension text entry box. 29. Click the Save button. The new division record will be saved.